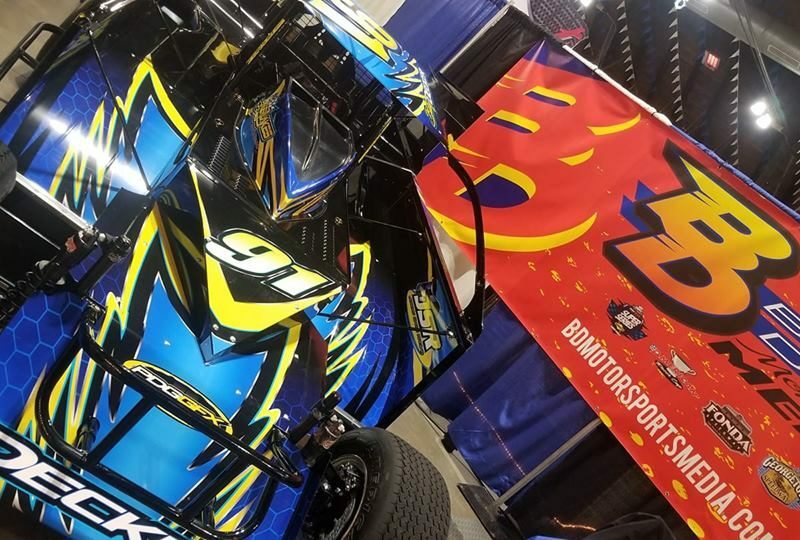 SYRACUSE, NY – The American Racer Cup presented by Sunoco kicked off its 2019 season over the weekend with record ‘early bird’ registration during the Northeast Racing Products Auction & Trade Show in Syracuse, N.Y. Competitors flocked to the BD Motorsports Media LLC display to sign up for the ’19 edition of the ‘home-track’ program presented by American Racer Tires, Lias Tire Company, Sunoco Race Fuels and Insinger Performance. In 2018, the program distributed 575 complimentary tire certificates and $51,450 in prize money to 242 registered drivers. During the two-day show, some 46 drivers filed entries for the ’19 edition of the Cup representing the Modified and Sportsman divisions. At 5 p.m. on Saturday, all registered drivers were entered into a drawing for two free tire certificates, one for the Modified division and another for Sportsman. The drawing was shown on Facebook live. Cory Costa, representing Outlaw Speedway in Dundee, N.Y., earned the Modified certificate. Bob Butcher of Woodhull (N.Y.) Raceway was the Sportsman recipient. The next tire giveaway is scheduled for the Motorsports 2019 Race Car & Trade Show in Oaks, Pa., Jan. 18-20. Complete ’19 American Racer Cup information will be released in late-December. 2018 point fund checks will be mailed in late-December to early January.